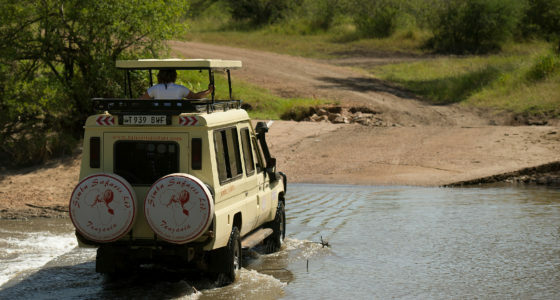 Our packages with Africa as destination. Two weeks of great cities, Safaris and awesome beaches. Ancient riverine forests, open savannah, serpentine channels and seasonal floodplains. Tents with private viewing of lagoon to provide you with a overwhelming and relaxing atmosphere. This is all you need to feel you are back home. A perfect plan offering a heart-stopping panorama staying at Xugana lagoon. You will find this pure-water paradise a great opportunity to experience a real safari at Okavango Delta. Africa as you have never seen before. Stay at the gorgeous Camp Okavango and Savute Safari Lodge. Go out for game viewing or just relax and enjoy the view. Visit Victoria falls and later visit the local market and village. The Best and most beautiful trip in Kenya and Tanzania with visits to Amboseli National Park Lying within sight of the imposing shadow of Mount Kilimanjaro in neighboring Tanzania.